San Clemente-based Coast Valley Moving & Storage is an interstate agent for Wheaton World Wide Moving. Coast Valley is one of more than 250 Wheaton household goods moving company agents. 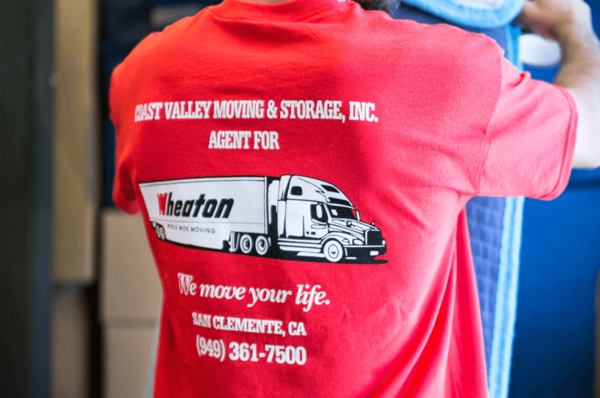 Coast Valley Moving & Storage has lived up to Wheaton's "customer first" philosophy while serving and satisfying customers throughout the state of California. Coast Valley Moving & Storage's professional staff of account managers, packers, loaders, warehouse specialists and expert drivers all has tremendous moving industry experience in residential as well as corporate relocation. Many of California's largest employers are counted among Coast Valley's corporate customer base. The Coast Valley Moving & Storage office is conveniently located at 1111 Via Callejon in San Clemente, California and was established in 1972. The professional staff of Coast Valley Moving & Storage has more than 38 years of experience in the moving industry. We continually work within our industry to service you, our customer, more efficiently, and are truly devoted to quality and customer service. We offer a wide range of relocation services. We can move across the street or across the world. No job is too small. We look forward to meeting you and helping you with your future moving needs. With a network of more than 250 authorized agents in the U.S. and representatives around the world, Wheaton World Wide Moving provides the highest quality of interstate and international transportation and relocation services.